I’m reading Leviticus. It’s tough going. There are rules and regulations listed in extreme detail, and a lot of directives involving the blood, fat, meat and regularity of animal sacrifices. My housemate told me that she loves reading the Old Testament because of what it teaches her about God’s character, so I’ve been really focusing on what I can learn about who God is. He seems to like blood. The picture of God as presented in Leviticus appears demanding and somewhat brutal. How can the God I know and love have been so keen on the constant offerings of blood and flesh, to the point where he considers it a ‘pleasing aroma?’ It seems sadistic. So I’ve been praying and meditating, and last week God gave me something powerful: It shows his abhorrence to sin. So often I just ignore sin in my life. But God really hates it. He cannot abide it. There is absolutely nothing good or worthwhile in sin. God doesn’t like death either. He created a world without it. But death has in it one redeeming feature that sin doesn’t have. Justice. 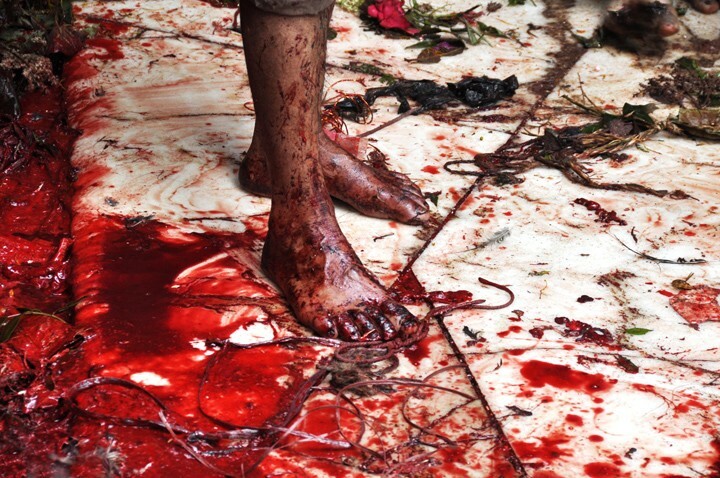 In the disgusting brutality of the shedding of blood, there was something good: The pleasing aroma of justice, which covered the stench of sin. God was willing to endure the death of animals, and even of His own son, so that the sin of humanity could be washed away. It was not the smell of death that pleased God, but the smell of atonement. This entry was posted in Questions I've pondered and tagged altar, aroma, atonement, blood, covenant, God, good, judgment, justice, leviticus, redemption, sacrifice, Scripture, the bible.